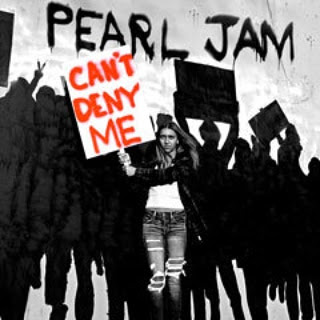 Pearl Jam released a new single, “Can’t Deny Me”, to members of their fan club on March 10, and the band are sharing a brief audio snippet via their social media sites. The tune drops three days before the Seattle outfit open their 2018 live schedule with a five-date run in South America that will see them play Lollapalooza festivals in Chile, Argentina and Brazil, as well as a headline concert in Rio de Janiero, Brazil. Pearl Jam will then kick off a 14-date European tour in Amsterdam on June 12, with the run delivering the group’s first performance in Rome since 1996 and first-ever concerts in Padova, IT and Kraków, PL. They’ll also play a series of festival dates, including appearances at Pinkpop in the Netherlands, Italy’s I-Days, Belgium’s Rock Werchter, Spain’s Mad Cool and Portugal’s NOS Alive events. A series of US dates will begin when the group plays two shows in their hometown of Seattle, WA this August to benefit homeless initiatives in the city, and will be followed by an August 13 appearance at Missoula, MT’s Washington-Grizzly Stadium, as well as two nights at Chicago’s Wrigley Field (Aug 18 & 20) and a pair of Boston’s Fenway Park (Sep 2 & 4).